Jennifer Purdy announces her intentions to run for Town Clerk of New Canaan. Jennifer Purdy, former board president and current program director at New Canaan CARES, has announced her intention to run as a Republican candidate for town clerk. Purdy will challenge Town Clerk Claudia Weber in the Republican caucus July 19. In addition to her candidacy, Purdy also announced her retirement from New Canaan CARES after 10 years. "I look forward to taking the job to a different level," Purdy said. "I plan on making sure the town clerk's office will stay in budget, be more efficient and more interactive. I believe I have what it takes to do this job. I am organized, I am confidential and I have worn multiple hats during my time with New Canaan CARES." In addition to her time with New Canaan CARES, Purdy has served as PTC president of East School, a Brownie/Girls Scouts leader and president of the Canaan Parish National Charity League. Purdy discussed several initiatives she hopes to implement if elected, including having New Canaan's office certified by the Connecticut Town Clerk Association, which she would be willing to test for. Purdy also plans to employ her experience writing grants with New Canaan CARES, the New Canaan Community Foundation and her time at Smith Barney as a way to bring the budget under control as well. "One way I would look to bring additional money to the town clerk's office is to write grants, for which New Canaan is and has been eligible. State grants are allotted to towns by population and not financial need," she said. As far as fiscal responsibility, Purdy also praised first selectman candidates Rob Mallozzi and Paul Giusti. "I applaud both Republican first selectman candidates for realizing the need to be more fiscally responsible," she said. "It is crucial we scrutinize every budget. I will continue to interview town clerks from comparable towns in order to view best practices and how New Canaan can improve and be more cost effective and efficient." The town website is another point of concern to Purdy. Her hope is to make it far more concise, interactive and user friendly for all New Canaan residents. Additionally, Purdy hopes to make the town clerk's office more accessible to residents. "I would like to work with Town Hall to see if we could extend the town clerk office hours to stay open one night a week to be more accessible to working people," she said. "I personally would be willing to stay to accommodate the extra hours." In light of the recent referendum on sidewalks and road paving, Purdy also hopes to improve the referendum process in order to make it more clear and concise. Still, in light of her recent retirement from New Canaan CARES, Purdy believes her strongest quality comes from her time there helping kids and others. 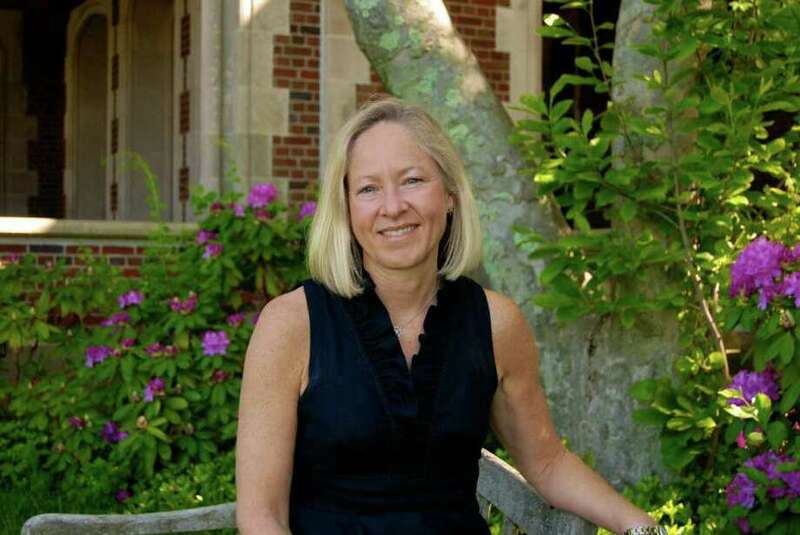 During her time at New Canaan CARES, Purdy held various positions including board member, board president, office manager, program coordinator, Kitchen Tour chairman, and youth program leader among others. She believes her varied experience will serve her well as town clerk. One position she's very proud of is her role as co-chairman of the Sapienza Scholarship within the New Canaan Community Foundation. "I have lived in New Canaan for 25 years, and have been involved in a variety of community programs. And, I look forward to helping the town clerk's office run more efficiently, smoothly, and cost effectively," Purdy said. Meg Domino, executive director of New Canaan CARES, described Purdy's greatest quality as an asset builder. "My favorite quality about Jennifer is her selfless contribution to the youth in this community," Domino said. "When a parent is late to pick up their child from a youth program, Jennifer doesn't focus on the imposition or let the child feel uncomfortable, instead, she creates a positive memory by giving the child an important task and making him or her feel special for being her assistant. She is the ultimate asset builder -- someone who does for others without expectation."